Excellent article and spot on. Alison, Trina and Anna have put their heart and soul into this organization. Thank you for highlighting this wonderful group. Thank you, Jeanette. I believe in giving credit where credit is due. Everyone works so hard for the animals. Thank you, Regina. I have been volunteering with Islaanimals for 10 years. 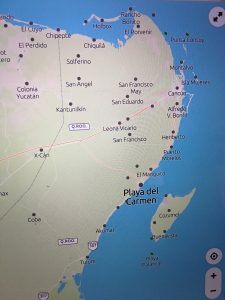 I started out with them doing 150 in a campaign in the Yucatán jungle Puebla. It has been a joy to see what they can do. Thank you for this highlight on Islaanimals. Pat, it’s great to hear from volunteers who have done so much to contribute to the success of this work in underserved communities. Thank you for what you do. Thanks for the spotlight in Isla Animals (Alison, Trina and Anna can exhaust you watching their passion!) and all their contributions to a better place for both the dogs and all those that love them. I have volunteered in a miniscule way in past and curse Alison for getting me wrapped up in dog rescue in Mexico and Canada! She has lit many flames in many volunteers…in Isla and beyond! By the looks of it, Kate, the Isla passion is contagious. What a blessing! 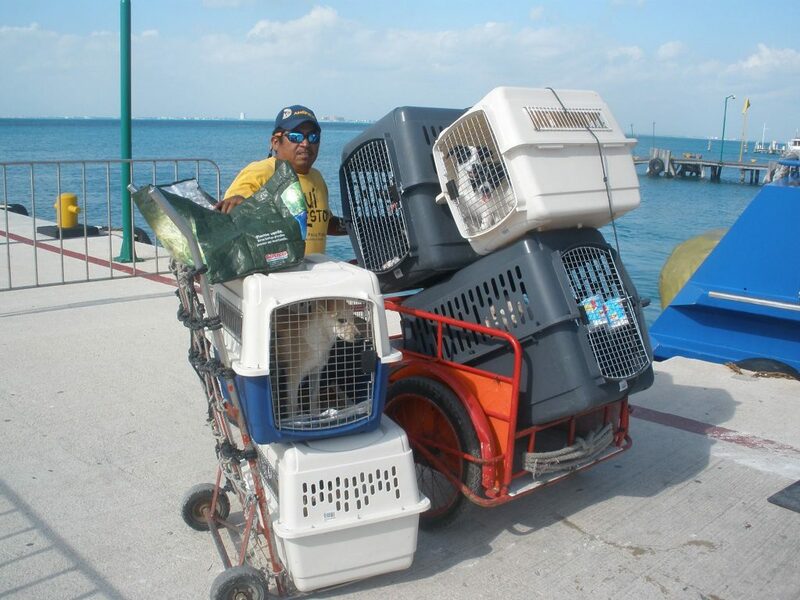 We have two rescue dogs from Rancho Viejo and a third from PV Mexico. Two are as a direct result of Alison, Anna , Trina and others. 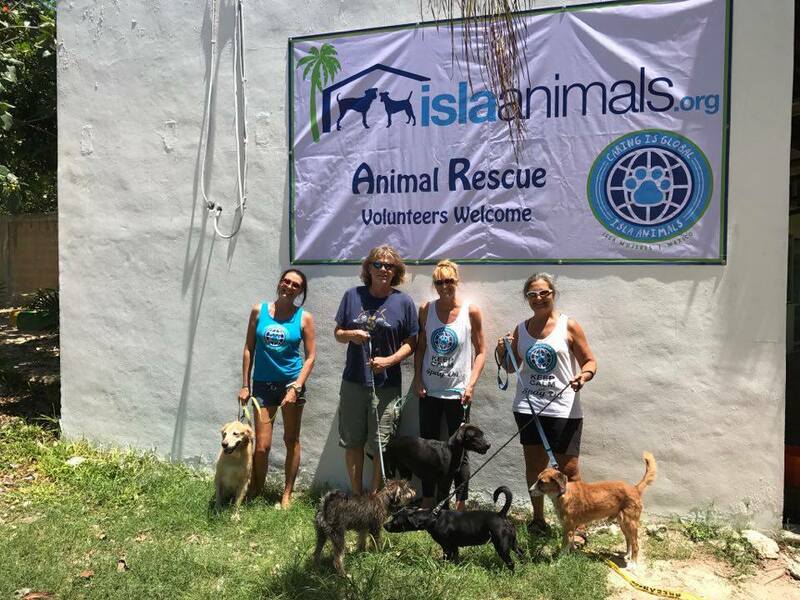 It is amazing watching this team of womyn save, change the lives of, care for, and love these beautiful animals that are known as meximutts…..and cats too. 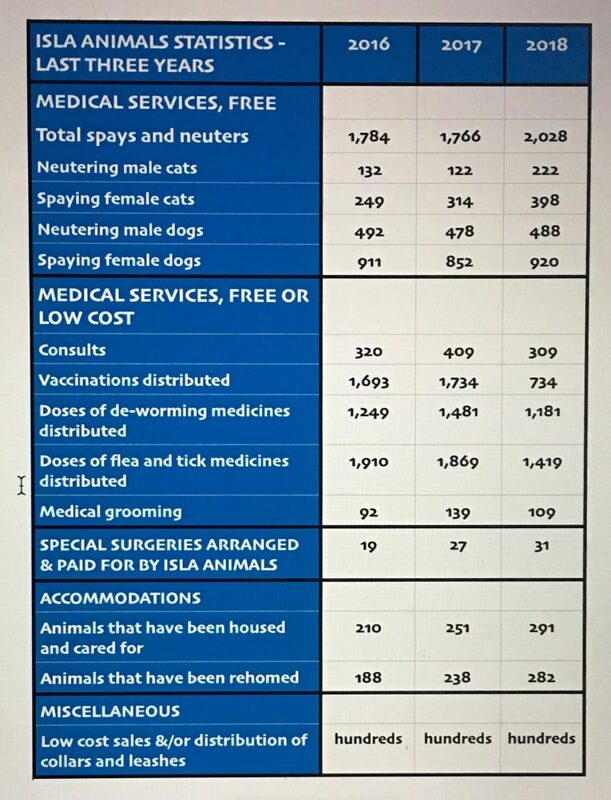 We have just helped with the 2018 stay/neuter clinic and see this as something we will help with yearly. Thank you for spotlighting this and acknowledging the years of love, devotion, time, money and resources that have gone into helping to make animals lives better. Dee, thank you for telling us your story. 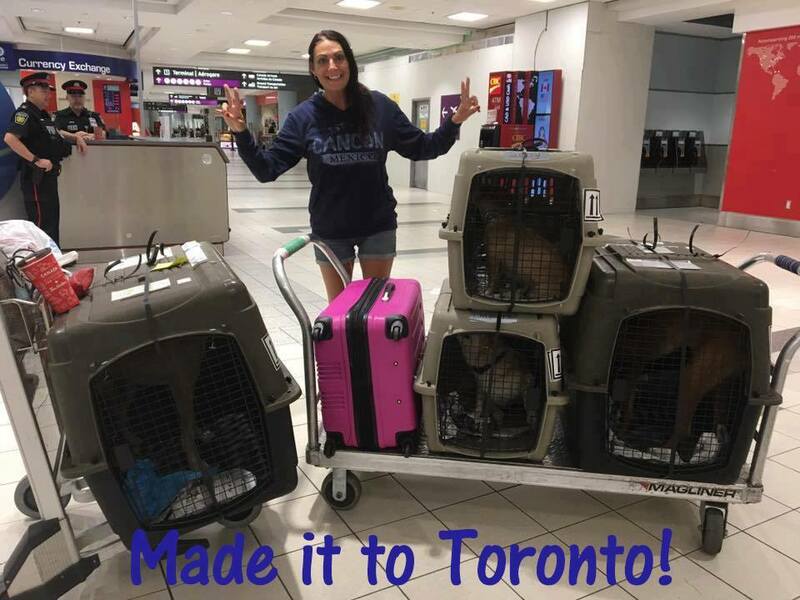 It’s wonderful to hear from people who have adopted dogs from Mexico. Do you live in Canada or the USA? We live in Nova Scotia Canada. Although like anywhere, there are always animals to rescue. It just seems that the ones at home have a somewhat better chance at survival then the masses here.